We are continually researching and developing new product ideas and are active in working with partners to develop quality products. 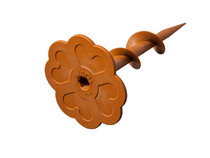 To view some of the products that have already been manufactured, please see below. 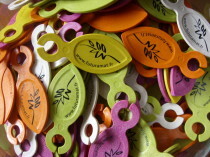 Description: Disposable product made from PolyFibra® compound and manufactured by MC PLAST (44 France). Description: This product is developed from the BioCérès® compound. 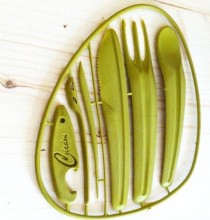 These disposable cutleries are completely made from renewable resources and are biodegradable. 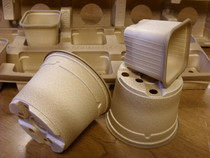 Description: This lunch box is made from BioMine® compounds, 100% biosourced materials. Description: Designed with BioFibra®, these coffee pods, distributed by leading retailers, comply with the NF EN 13432 standard and are 100% biosourced and 100% compostable. 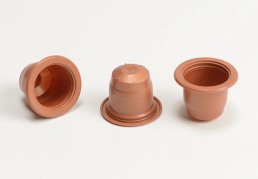 Description: Made with the BioCérès® compounds and manufactured for BIOPLANTS (49 France), these horticultural pots are compostable and carry the OK Compost® and the OK Biobased® labels. 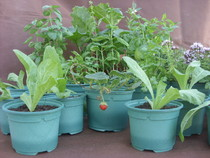 Description: Made with BioFibra® compounds and manufactured by SOPARCO (61 France), these horticultural pots are compostable and carry the OK Compost® label. 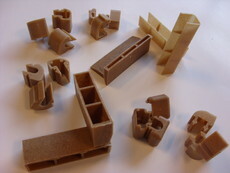 Description: BioFix clip is made with biobased materials (BioMine®) and manufactured by CINQ MC (16 France). 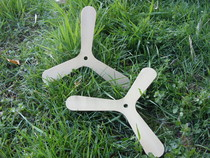 Description: Designed with BioFibra® range, these boomerangs are manufactured by FORMES ACTIVES (73 France). 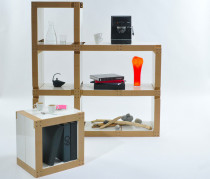 Description: Contemporary furniture designed with PolyFibra® compound and marketed by NEUF MARS (85 France). Description: Manufactured by FORMES ACTIVES (73 France), these token are made with BioFibra®. Description: BTA (47 France) has selected a BioFibra® formulation to match with its wooden broomstick in order to manufacture theirs tips. 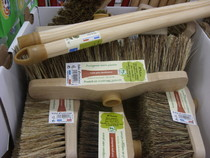 These brushes, 100% of natural origin produced by VISIPLAST DISPLAY (27 France), are equipped with sockets in BioFibra®. 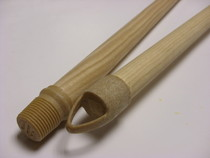 They are designed to be used with BTA brush handles. presented above.